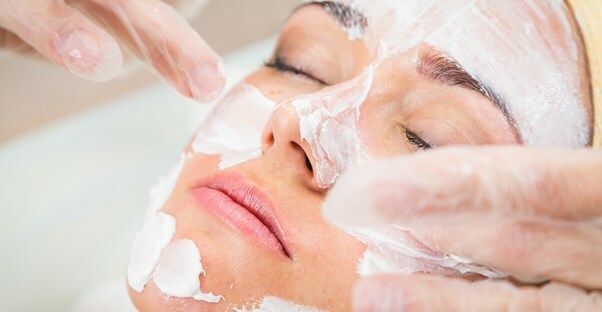 With all of the different types and brands of skincare products available, it can be hard to know what is the best way to take care of your skin. So before you run out and buy the hottest new product, here are some methods that are scientifically proven to benefit your skin. Apply sunscreen daily: Dermatologists recommend applying about half a teaspoon (enough to fill the hollow of your palm) with a broad-spectrum sunscreen of SPF 30 or higher to coat your face, neck, and ears every day. Since the effectiveness of sunscreen will wear off after a few hours (or sooner if you are sweating or swimming), you will need to make sure to reapply if you are going to be outdoors. There is also powder sunscreen available that is good for reapplication and touch-ups throughout your day. Stay inside: The sun’s rays are the strongest each day between 10 AM and 2 PM, so you should try to avoid being outside during these times as much as possible. Wear protective clothing: If you do have to be outside, make sure to cover your skin with long-sleeved shirts, long pants, and wide-brimmed hats. Research suggests that a diet rich in vitamin C and low in unhealthy fats and processed carbohydrates will promote younger-looking skin. Foods that contain essential fatty acids will also help to decrease the inflammation that can lead to fine lines, sagging, and blotchiness. Healthy foods that contain fatty acids include almonds, salmon, tuna, and halibut. First of all, when it comes to taking care of your skin, make sure to choose products that are specifically designed for your skin type. Dry skin and oily skin will not have the same needs and will respond to different cleansers in different ways. If you wear makeup, make sure to choose a gentle makeup remover that will not cause stress to your skin or upset the natural pH balance of your skin. If you have sensitive skin, choose skin care products that are fragrance-free and hypoallergenic as well. Many dermatologists will also recommend using a cleansing brush with a gentle face cleanser and lukewarm water to wash off the dirt and oil accumulated on your face. Using facial cleansers that are too harsh or water that is too hot will remove too much of the natural oils on your face that are necessary for keeping your skin hydrated and healthy. Moisturizing your face is important for both morning and night. However, the type of moisturizer that you use for daytime and nighttime will likely be very different. This is because daytime moisturizers are often much lighter in consistency and designed to soak into your skin so that they are not noticeable throughout the day. On the other hand, nighttime moisturizers are usually very thick, causing the skin to look oily and not very aesthetically pleasing. But they are designed to help repair your skin from daily damage, so look for products that include ingredients such as antioxidants, peptides, vitamin C, and vitamin A. Is Skin Care Necessary for Kids?